In my twenty-plus years as a financial advisor, I have seen too many investors make the same mistake with their money. What is the all-too-common financial mistake? Investors follow their emotions rather than logic. Sometimes emotions can cause you to make a hasty decision. For example, a compelling ad offering a phenomenally high interest rate on a lucrative-sounding investment may play on your desire to make money quickly and easily. As this is what you want, you may fail to remember the old adage, “If it sounds too good to be true, it probably is.” Feelings of greed and excitement make you rush headlong into a bad investment without stopping to think whether it is really what you need. In a different situation, fear of making a loss or a sentimental attachment to a stock (maybe you inherited it) can hold you back from selling a losing stock or buying a better position. Either way, your emotions are standing in the way of logic, causing you to make some fundamental mistakes. 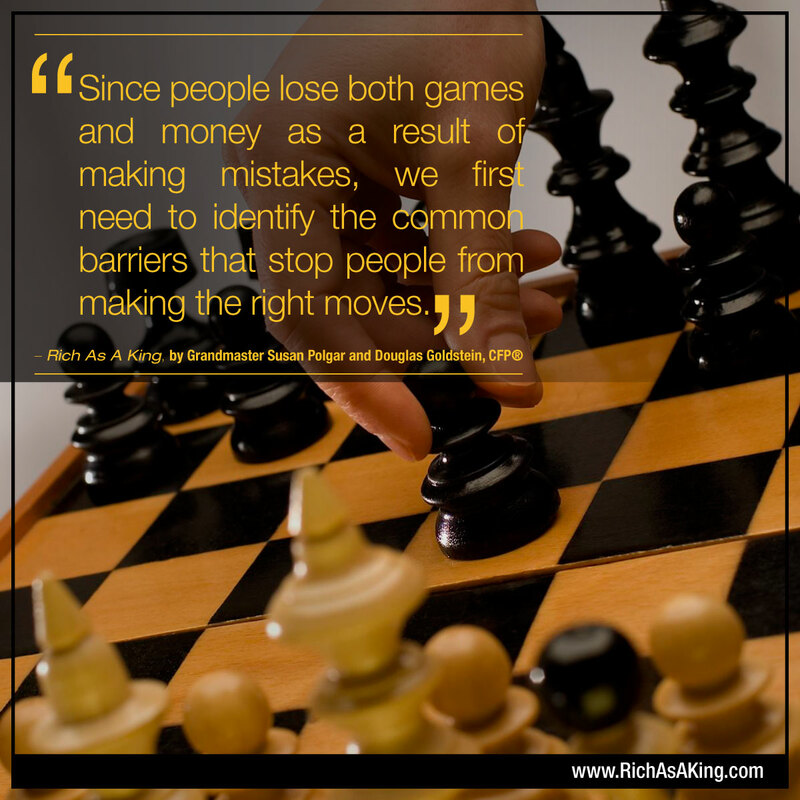 There is no “one size fits all” approach to either chess or investing. But looking at the common barriers that cause mistakes, understanding basic concepts, and learning about behavioral finance will help you manage your money more easily because you will recognize many pitfalls that you can avoid. To learn how to avoid other common investing mistakes and to understand why some investors are not successful, read this.